Facts- The motorcade was traveling 10-11 mph in Dealey Plaza. There should have been agents on the car. In fact the car had come to almost a complete stop by the time of the fatal head shot (likely the fourth or fifth shot). Fact – Clint Hill and the motorcycle patrolman to the left rear of Kennedy were both splattered with blood and brain tissue from the head shot that came from the front of Kennedy. Scientific evidence done by a noted physicist, G. Paul Chambers in his book, “Head Shot” published in 2010, proves conclusively the kill shot to the head came from the Grassy Knoll to the right front of Kennedy. Respectfully Mr. Hill you were there, but as a participant you don’t know the whole truth of what occurred, so why state so emphatically you do. The book does admit the Secret Service did not take the threats against Kennedy seriously, and that tall buildings along the motorcade route were not monitored or screened. These agents also confirm that there were not any Secret Service agents on the ground in Dealey Plaza that day. The question then arises, Who were the men who produced Secret Service ID when stopped and questioned on the Grassy Knoll after the assassination by police and witnesses? The police allowed them to leave when they produced this false ID. My impression of the book is this, it is an interesting collection of memories of working in Kennedy’s protective detail during his presidency. The agents still have not come clean about the drinking parties the night before the assassination, and the failure to follow proper procedure during the motorcade. Documents show Kennedy did not order the agents to stay off his car and drop back from their proper locations. The Secret Service has a systemic problem – they refuse to believe a president has ever or could ever be killed by a conspiracy. They hang on to the lone nut scenario. Until this attitude is cleansed from the organization, this is likely to happen again. I can’t let this anniversary pass. On this day in 1960, Senator John F. Kennedy won the Democratic nomination for president at their convention in Los Angeles, California. Of course, he went on to win the general election in November 1960 by the slimmest of margins to become president-elect. On January 20, 1961 he was sworn in as the 35th president of the United States. He was also the youngest elected president to take office and the first person of the Roman Catholic faith to become president. Tragically, he became the youngest president (46 years of age) to die in office when he was assassinated on November 22, 1963 while riding in a motorcade through downtown Dallas, Texas. 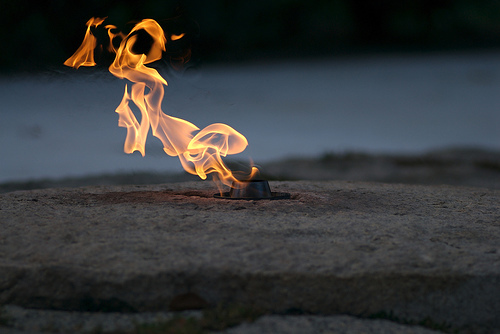 My entire adult life an eerie fascination has drawn me to the Kennedy Assassination and the events of November 22 – 25, 1963. Over the years I have absorbed everything written on the subject. Now as I wander Dealey Plaza for the first time my brain releases remembrances of that era. I feel at home in a surreal way, not because it is a good place, but rather a familiar one. Memories of the 1960’s and my formative years flood my being. The first major historical event in my lifetime riveted me at the time and has gripped me since. Historical and political awareness awoke in my young mind over those terrible four days in November 1963. Forty-six years later like a moth to light, this place attracts me. The Plaza holds no mystery for me. I know every nook and cranny, every conspiracy theory and every person associated with those days. The Grassy Knoll, the Texas School Book Depository, the Sixth Floor, the Triple Underpass, Stemmons Freeway, Zapruder, Oswald, and the forever young President John Fitzgerald Kennedy flood my mental vision as I wander Dealey. Dealey Plaza is not an imposing place. It is a small park in the middle of the West End Historic District of downtown Dallas, Texas. The curious come here in a regular flow. They wander, some knowing the tale, others having only read about it. All attempt in some small way to recapture some of the Kennedy mystique. The story is the saga of youth lost and what might have been. Like all the others I wonder why and lament the potential killed that day. I think in some small way visiting this site is a way to get closure after all these years, to get my mind to accept that yes, it did really happen. Believe it or not it has been 46 years since the tragic events of the weekend of November 22 – 25, 1963. John Fitzgerald Kennedy was elected November 8, 1960 as the youngest president at 43 years of age. (Teddy Roosevelt was youngest to take office, but he assumed office after McKinley’s assassination.) John Kennedy took office January 20, 1961 with a promise of his New Frontier. Together with his beautiful wife Jackie and young children they charmed the nation and the world. In preparation for the election of 1964 Kennedy wanted to win the electoral votes of the populous state of Texas. He decided to make a trip to Texas in late November 1963. On the morning of Friday November 23, 1963 he and his wife took breakfast in Fort Worth and flew to Dallas afterwards. Their arrival at Love Field was greeted by a large crowd. A motorcade then left from the airport with a planned arrival at the Trade Mart around 1:00pm local time. 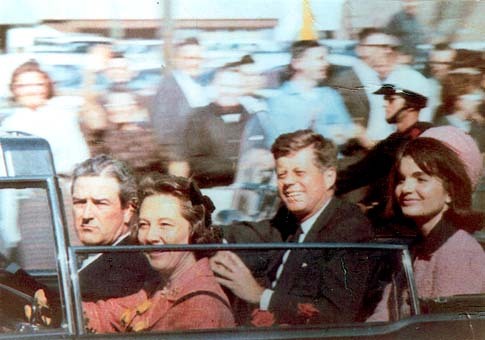 Kennedy, his wife, and Governor John Connally of Texas and his wife rode in an open Lincoln limousine through the downtown. On their way they passed the Texas School Book Depository. As they turned the corner from Houston to Elm Street shots rang out. Kennedy was struck in the back with an exit out the neck. This would have been a nonfatal shot. Seconds later he was hit by a bullet in the head effectively killing him. The time was 12:30 pm Central Standard Time. He was taken to Parkland Hospital where he was pronounced dead at around 1:00 pm local time. Lyndon Baines Johnson, the Vice President effectively became the 36th president upon Kennedy’s death. He took the oath of office in Air Force One just before departing for Washington, D.C.
Lee Harvey Oswald was arrested several hours later in a Dallas movie theatre. He was charged with Kennedy’s murder. Oswald was being moved from the jail to more secure quarters on Sunday November 24th. While being escorted through the basement of police headquarters, Jack Ruby a local nightclub owner with mob ties, stepped forward and shot Oswald at point-blank range. Oswald died later at Parkland Hospital. The truth died with him. 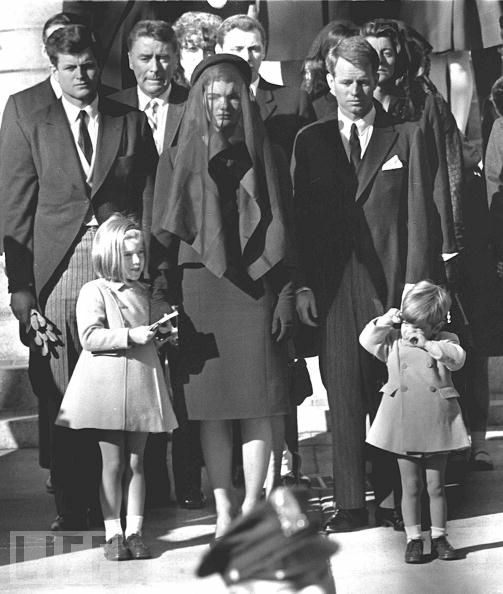 Monday November 25th the funeral of President Kennedy took place in Washington, D.C. Millions watched the event on television in disbelief that this young president could have been taken from us so suddenly. He was buried in Arlington National Cemetery. To this day there remain many unanswered questions and mysteries surrounding his assassination. You are currently browsing the archives for the assassination category.